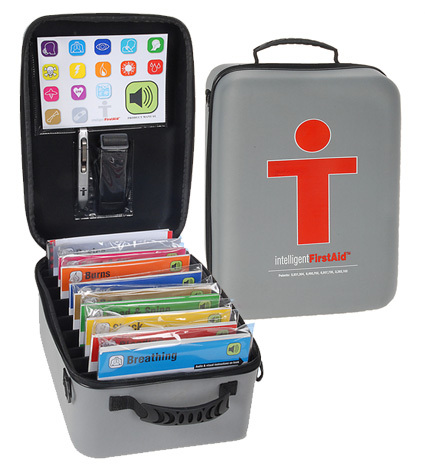 Meet the IntelligentFirstAid kit. Why Intelligent? Because by design, these kits walk the first aider through a series of steps to accurately manage an injury. In addition, the proper supplies are provided along with these instructions in injury-specific care packs. Using a patented system that combines knowledge and supplies, the IntelligentFirstAid kit is the most reliable tool on the market today to manage an emergency. The care packs are simple enough for common small injuries and complete enough to handle more serious ones when professional medical help is on the way.